Kit. 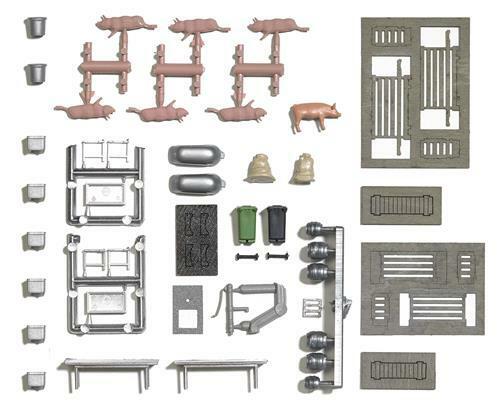 This accessory set (over 30 pieces) can be used with the H0 1530 Butcher Shop and H0 1531 Annex Bilding to complete a slaughterhouse scene. Includes sides of pork, a hog, tables, basins, trash cans, tubs, a water pump, etc.